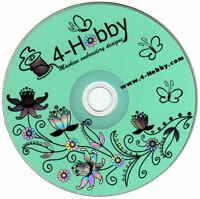 1) When you show your embroidery project on your forum/in your blog, put a small banner or even text link, something like: "This project is based on the following embroidery designs set". Other forum participants can be interested. 2) Share your Partner Invitation link or Product Banner using Facebook, Twitter or other social media network. 3) When sending emails out, be sure to include your Custom URLs in the email body so that if someone clicks the link and makes a purchase, you will get the credit. Please email only to your personal email list, or your organization's double opt-in email list. You can also mention your link in your Email Signature. Spam (unsolicited email) Indiscriminate advertising or unsolicited commercial emails (spam) is strictly prohibited.